Visa renewals for foreign workers are to be reviewed and scrutinized like first-time applications, according to new federal guidance, in a move that one expert said could induce U.S. companies to hire Americans. U.S. Citizenship and Immigration Services (USCIS) updated its policy this week, which before had directed officers to defer to findings in previously green-lighted applications when making decisions on renewals. “The updated guidance instructs officers to apply the same level of scrutiny when reviewing nonimmigrant visa extension requests even where the petitioner, beneficiary and underlying facts are unchanged from a previously approved petition,” USCIS said in a news release. 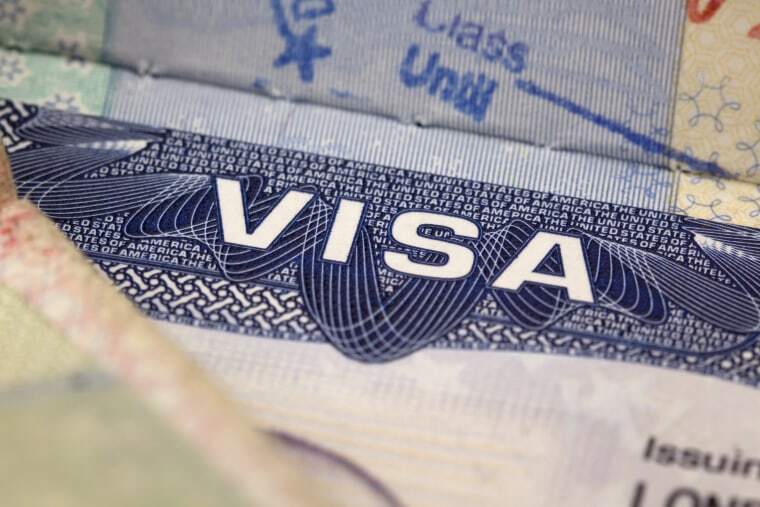 But William Stock, an immigration lawyer from Philadelphia, said the change could make the foreign worker visa renewal process more costly for employers and as inefficient as possible in the name of security. “What [the Trump administration] is doing is saying, let’s see how many hoops we can make people jump through to use the rules that Congress provided and make it as hard as possible, the theory being that employers will hire Americans instead of the foreign workers who they’re sponsoring,” Stock, past president of the American Immigration Lawyers Association, told NBC News. The update affects a number of worker visa categories, including the controversial H-1B. Created in 1990, the H-1B program allows U.S. companies to sponsor nonimmigrant visas to temporarily employ foreign workers with bachelor's degrees in specialty fields like engineering, computer programming and science. India and China, in that order, are the top two countries from which H-1B recipients hail. Supporters argue that the program brings in overseas talent to fill a job gap, but critics say it promotes outsourcing and gives away American positions to lower-paid workers. President Donald Trump, in his inaugural speech, pledged to bring back lost jobs and "rebuild our country with American hands and American labor." Stock said it’s difficult to say exactly how many foreign workers will be affected by the USCIS’s updated policy, but estimated it should be at least a couple hundred thousand. USCIS said petitioners of visa extensions bear the burden of proof in establishing eligibility. The Oct. 23 memo states that officers “should not feel constrained in requesting additional documentation” when deciding an extension. Asked what kinds of information might now be required with an extension application, Stock offered an example. The USCIS memo said the policy of deferring to prior findings may have limited officers from conducting a “thorough review of the facts and assessment of eligibility in each case” and from discovering material errors in past decisions. “While adjudicators may, of course, reach the same conclusion as in a prior decision, they are not compelled to do so as a default starting point,” it said. Whether all this will dissuade U.S. companies from hiring overseas remains to be seen. Stock believes the intention, though, is to shrink the number of foreign worker visas issued and to make the process more expensive for employers. “They know that every time they do this, they may get questioned — every time they do this, it’s a brand new case,” Stock said.